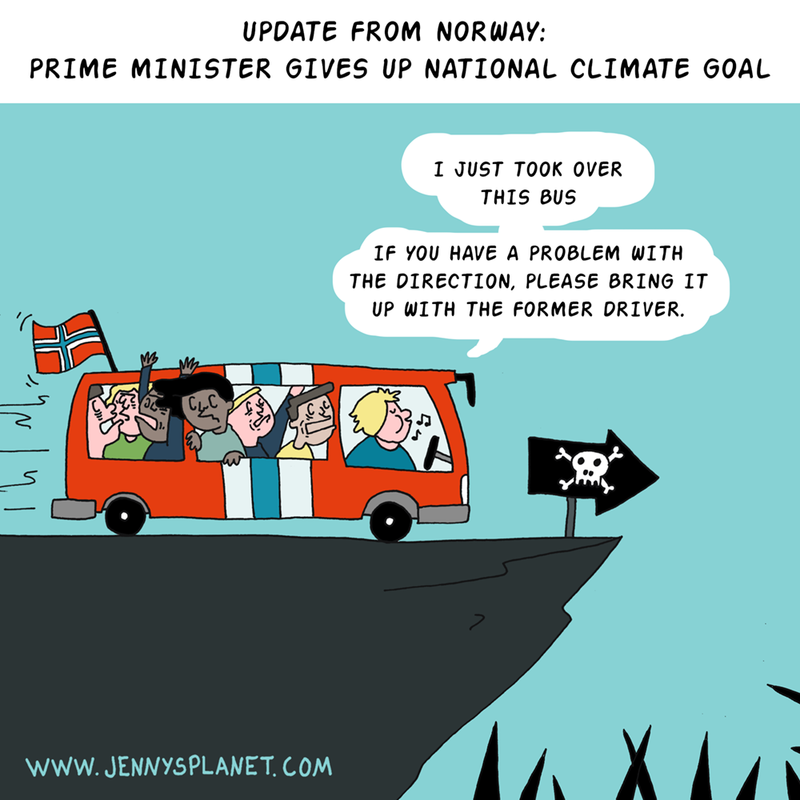 In 2008 all of the political parties of Norway (except from the right-winged party FrP) agreed to reduce emissions by 30% from 1990 by 2020. Apparently, this is not a priority anymore. Our prime minister is giving up the national goal, and blaming the failure on the former government. They didn’t do enough, that’s true, but it’s the worst excuse ever to head in the same disastrous direction.